In South Africa the first mention of the work of the Order comes from Grahamstown in 1883. In the absence of accurate records, it has been decided that two first aid and home nursing classes held there should be regarded as the beginnings of the St John Ambulance Foundation in this country. There are now branches of the Foundation in most large centres in South Africa. Today the work of St John has expanded from first aid training, to home care of patients with AIDS and the establishment of eye clinics. 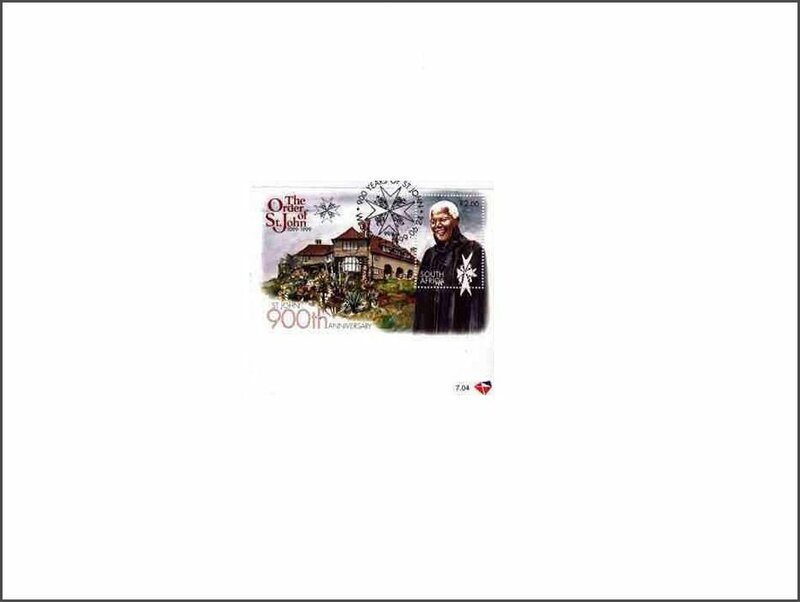 A limited edition print of 2 000 first day covers have been issued by the Post Office bearing the date 24th June. This particular date is of great significance to the Order of St John as it is traditionally recognised as ‘St John the Baptist Day’, the patron saint after whom the international non profit organisation takes its name.